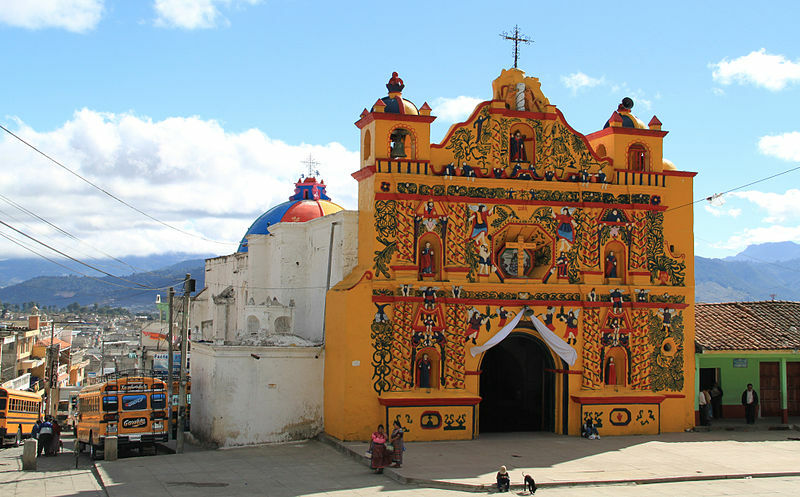 Six massive paintings by 18th Century painter Tomás de Merlo were stolen last month from El Calvario Church in Antigua, Guatemala, a historic city well-loved by tourists. 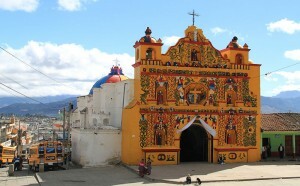 Although most Latin American church robberies occur at night, the theft happened in broad daylight: a grounds keeper was bound and the paintings were cut from their frames. It is difficult to assess the value of these paintings, mostly because they cannot be legally bought or sold, but $1.6 million for all six of them on the legal market is not unreasonable. It is believed that these paintings will enter the transnational criminal market for looted and stolen cultural property. It is very likely that we will never see them again. Thefts of historic art from Latin American churches are under reported, at least in the English-language press, but they are not rare occurrences. Colonial art is in demand in such locations as the US, the UK, and Spain, and where there is a demand for cultural property, an illicit supply is always found. While it is impossible to argue that buyers of illicit church art do not know that the works they buy might be stolen, many of these objects are peddled along with a sob story: a narrative that seems to make purchasing the piece ‘the right thing to do’. Often this story involves impoverished nuns raising money to save their convent, plots worthy of a magical realist novel. Or, as we see in other parts of the black market for stolen cultural objects, a strong assurance from dealers that the pieces in question have been in an ‘old family collection’ either since time began or, at least, since before it became illegal to trade in antiquities. Yet these stories, however convenient, mask the dark truth: Colonial church art is stolen from Latin American communities (often very poor ones) and from public display to satisfy the selfish desires of rich private collectors. If there was no market for looted Church art, churches would not be robbed, masterpieces would not be mutilated, and the public would retain important pieces of public history. We all benefit when heritage is protected; we all lose when it is stolen. However the situation in Guatemala and, indeed, the rest of Latin America is complex. This theft was interesting in that it happened in a city: there is some indication that church theft is more common in the countryside where security is lax. Indeed, many church thefts occur in tiny rural villages, communities that have little access to official protection of heritage sites. In such cases the people who have the least are being robbed of what little they have. These paintings, icons, and other religious items form the backbone of the community: they are objects of devotion that, over the generations, have become significant to the people who care for them. Their loss has profound implications for community identity and cohesion. Poor Latin American communities and financially-strained heritage and culture departments are in a bind: how can they possibly protect the massive amount of ancient, historic, and modern cultural property within their borders? In the case of the Antigua theft, it had been assumed that the sheer size of these massive paintings would prevent their theft, an impediment which was overcome when thieves cut the canvases with knives. 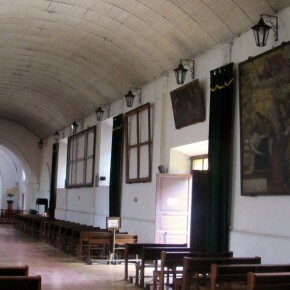 Although the church itself had an alarm (many rural churches do not because of a lack of electricity or a lack of funds), the alarm was only activated when no one was in the church: the paintings were not individually alarmed due to budgetary restrictions. There simply isn’t funding for adequate security. What, then, can be done? At this point, there is no clear answer. One possibility is to deter trafficking networks by strengthening border controls. 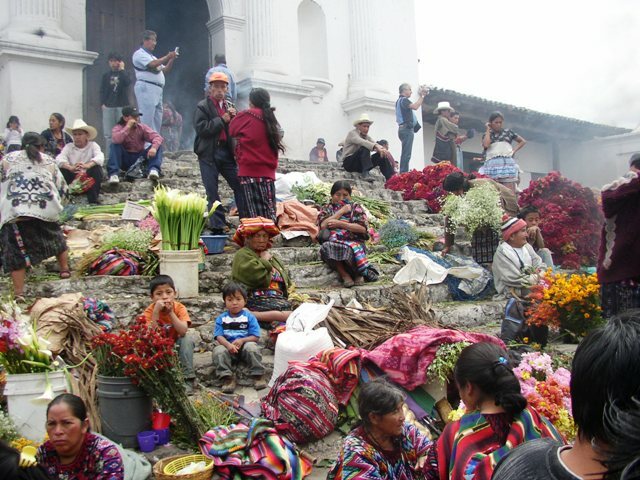 In 1997 the United States and Guatemala signed a Memorandum of Understanding (MoU) which serves to bar the import of illicit Guatemalan cultural objects into the United States. This agreement, which runs 5 years at a time, has been renewed in 2002, 2007, and 2012. Initially, the MoU focused primarily on ancient artifacts: the entrancing remains of the Maya civilization whose heartland was in the Guatemalan jungle and whose art is immensely popular among US private collectors. Almost every ancient Maya site has been devastated by looters to feed the demands of antiquities-hungry US-based collectors. At some Guatemalan sites, every single temple has been looted: once-proud cities reduced to rubble because of greed. It is a soul-crushing situation and not even archaeologists can comprehend what exciting information we have lost to the black market. However, the Maya aren’t the whole story. As we have seen, Guatemalan churches are also robbed violently and without mercy. Luckily the US/Guatemala MoU was modified in 2012 and from that point on the import of “certain ecclesiastical ethnological materials dating to the Conquest and Colonial Periods of Guatemala” into the United States is banned. In other words, unless an official export license from the Guatemalan government is presented, no one can bring Guatemalan church items into the United States. As we all know, smugglers will no doubt find a way to smuggle, but the ban is a start. Another possible way to prevent theft from Latin American churches is to vilify the private collecting of these objects. We need to cut through tall tales and tell the real story of where cultural property on the market came from. We need to shift the narrative from ‘the classy private art collector’ to ‘the person willing to pillage the developing world for purely personal gain’. We need to punish dodgy dealers and unscrupulous collectors socially (and legally when possible), and not let them hide behind a veneer of social respectability. A white collar criminal is still a criminal. The fact remains that the paintings from Antigua are not recoverable, at least not in the condition they once were in. They have been cut up, they are likely not being properly stored or cared for, and, perhaps saddest of all, they are at risk of being destroyed if the thieves feel they have become too hot. I sincerely hope that the paintings from Antigua are recovered, but the damage has already been done.